The Balloonatic Promotions - Balloon rides over Orlando! Energizer Bunny in Anderson SC. 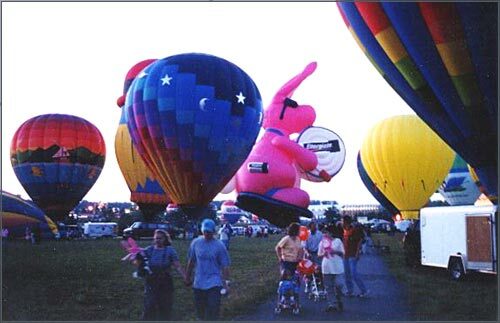 More fun than a barrell of clown balloons, read all about the adventures of The Balloonatic as he hits the roads and flies the skies. Enter your email address below then click the enter button! Copyright © 2019, The Balloonatic Promotions. All rights reserved.